We left the warm desert and headed up to the chilly mountains somewhere around midday. The drive to Flagstaff from the Valley is absolutely breathtaking. For a kid from NJ the only schemas that I have for the scenery are upstate NY and maybe eastern PA. But the truth is that neither holds a candle. The canyons are enormous, the hills roll on into an infinite horizon, and the air is crisp, clean, and cold. It wasn't long after we arrived at the hotel before the madness began. Some random spaffnerd kept calling me and saying he wanted to use my room key to break into the hot tub in our hotel. This was confusing because there was no hot tub in the hotel. Soon the room was filled with booze, our bellies were filled with Pizza, and it was time to head down to the Orpheum to fill our souls with joy. The Orpheum is a beautiful little theater and the band has some long-time history here. This was their 10th gig at the venue which they hadn't seen since May of '16. I was lucky enough to be on the guest list and as I got my tickets from will call I was excited to see a pair of All Access passes included with the stubs. I handed @lmwsongbird her pass and ticket and headed for the door. As I walked up to the pat down I threw some garbage in the trash. A minute later I went to give my ticket to the nice lady and realized it was nowhere to be found. I then had to spend a chunk of time searching through the garbage to no avail, and then convincing the two people at the door that I had a ticket. I told them "I've got an all access pass... 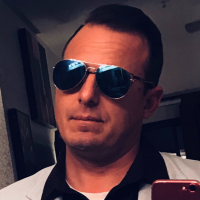 I'm not trying to scam anybody here man..." Fortunately they took my word for it, gave me a friendly pat down, and sent me on my way. The room at the Orpheum is surprisingly spacious. Its deep and not too wide with a couple of bars setup on either side. 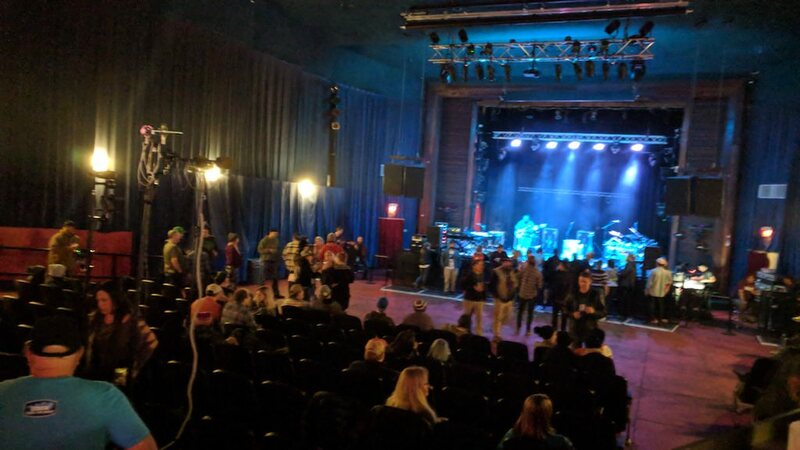 I saw @archive-it's mic stands sticking up from the back of the floor and immediately began running into Nerds that I've met both online only and IRL. Before I knew it the moment of showtime was approaching. 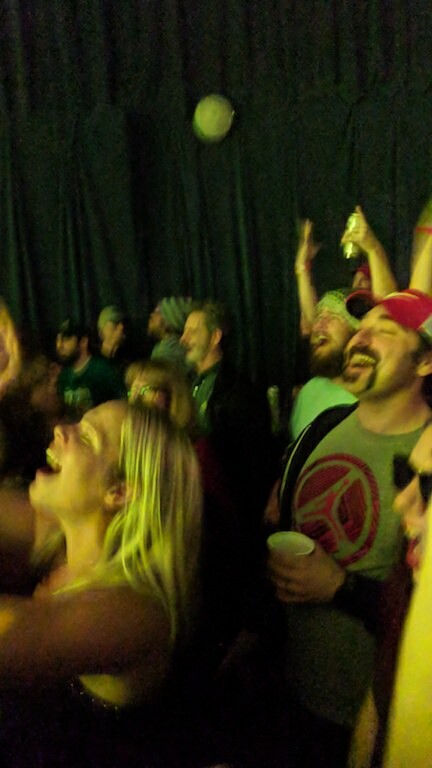 I took a quick dip backstage to see the guys and wish them well, but then I was right back out on the floor, front and center. 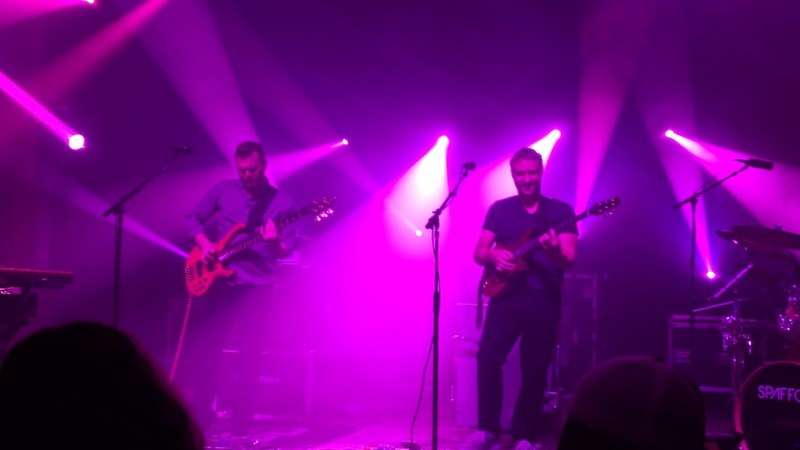 There's no way I'm passing up the chance to see Spafford play that close. It seems like it won't be long before that's not an option. And like that, the lights came down, Brian declared, "We're Back! ", and the volume went up. The boys opened with Take Your Mama. I'm pretty sure this was played for Cam's mom who was in attendance. In fact she was passing out "Cameron Hotel" IKI slaps. They played it bouncy, energetic, and fun. A great way to start the show. Next came the 'wa' peddle for and West La Fadeaway and Red's smooth and sultry singing. 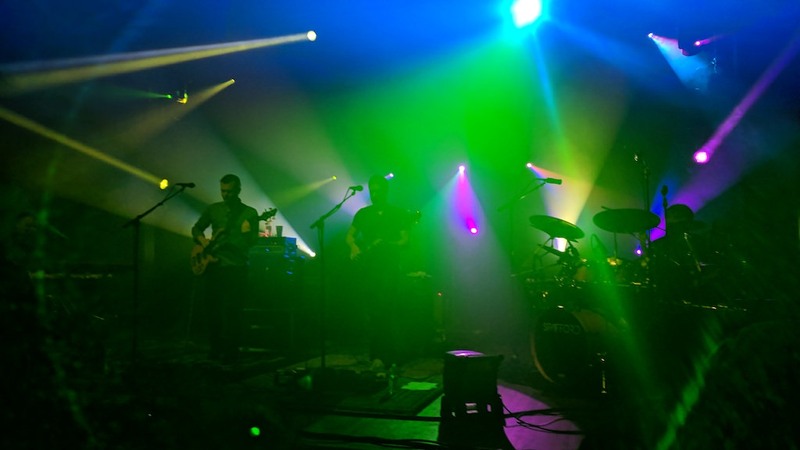 Spafford's version of the Dead's late era classic is a personal favorite. This one stays true and funky with Brian's guitar guiding us through Jerry's classic melody. 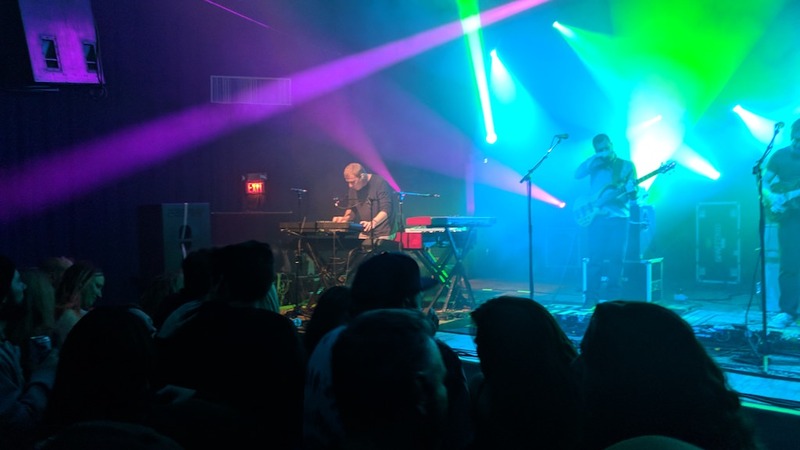 Backdoor Funk gets nice and spacey, opening up in the middle and relaxing into a groove with Brian playing light and liquid runs over Red's expansive and etherial keyboards. Red grabs some leads with the "baby grand" and the two dance around each other while Jordan and Cam keep the funk funky. 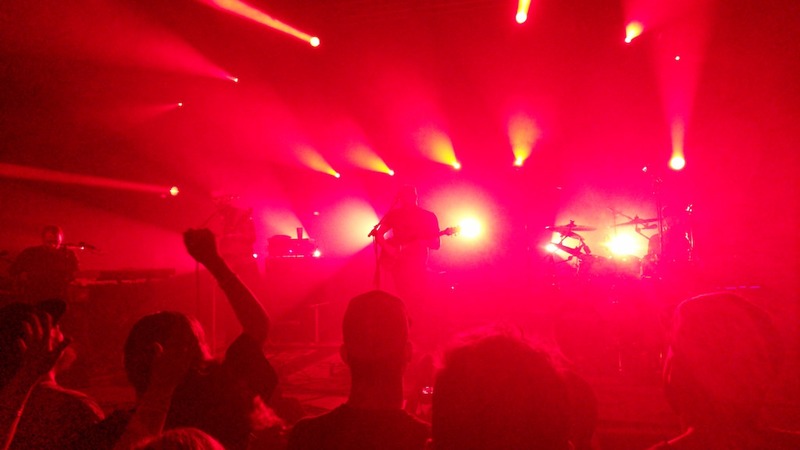 Before long the jam builds up to the tension release climax that Spafford does so well. When I hear comparisons to Phish, this is the biggest thing I see in common. An understanding of building a jam to a peak and then allowing it to explode. 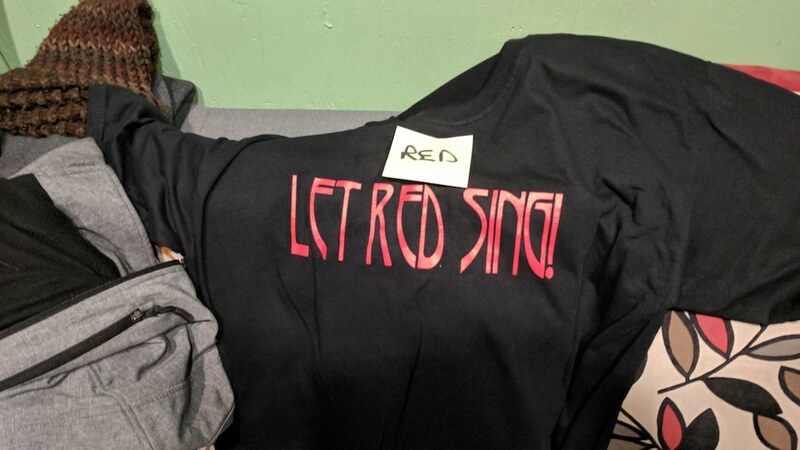 The guys at the venue made shirts for the band. They said "Let Red Sing" and this was definitely a night for Red to sing. Up next was Slip and Squander. I don't have to tell you how excited this made the crowd. If you don't love Chuck's lyrics and the band's composition on this one you're probably listening to the wrong band. Red's clean piano and Cam's steady beat set the stage for a journey into thoughts of "everything, maybe even death." The blissful build and peak of S&S never disappoints and this one is no exception. You could feel the love in the room as we all took and the explosion of joy when the song finally hit its crescendo. If there's one single song I was hoping to catch it was Eternity. I feel like this song stays off the radar of most Nerds and that's a shame. The lyrics (which we'll get soon) seem to suggest that live music, concerts, and togetherness are the path to heaven. Jordan sang this with such heart you couldn't help but feel the edges of eternity raining their soulful music down on all of us. Eternity reminds us that all signs keep saying this way leads to higher ground. Walls. I remember walking my dog and listening to a version of Walls in the early days of my Spafford musical exploration. Even then I knew this song was a hit. It's got everything you need for a good jamband song. 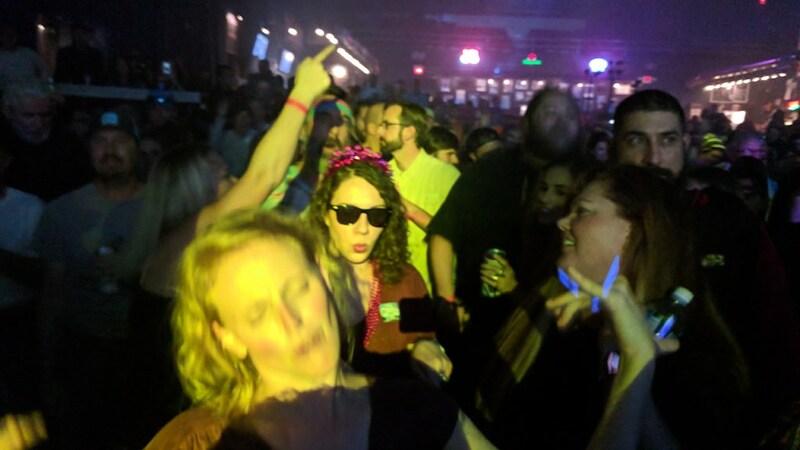 Funky beat, groovy moves, and an easy simple singalong. 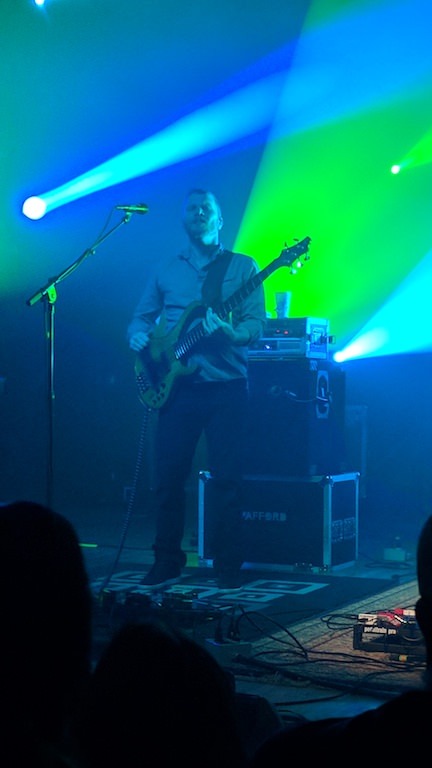 Jordan's bass pops got the whole room swaying, including Brian who dropped into his 'gunslinger' pose. Cam fired up the 'untz' and the space was there to explore. Around the 7 minute mark Red's spacey keys set fire to Brian as he lights up the jam just before dropping into the hook-melody. So good! This Walls gets flagged as a must listen as it's the only 2017 Walls with the "Chant" as the band called it. Second only to Eternity on my "must hear" list was Plans. I've said that this song has grown on me a lot lately. 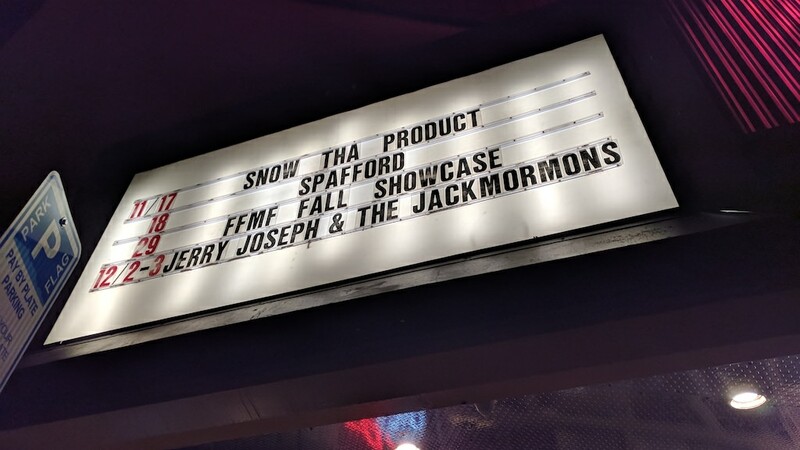 I love that Spafford has so many songwriters. You can really get a feel for who wrote what just by listening to the thematic content. It gives you a window into the minds of the guys and shows you what they think about. Jordan's songs tend to examine the big sweeping life and soul stuff. Plans does too as we 'raise up our hands and sing...' and Brian grabs a ripping guitar solo just before we drop into the bridge and slow things down for a moment to breathe. Moment over, Jordan slaps that bass so hard it's like he's teaching it a lesson and the wave of sound washes over us all. 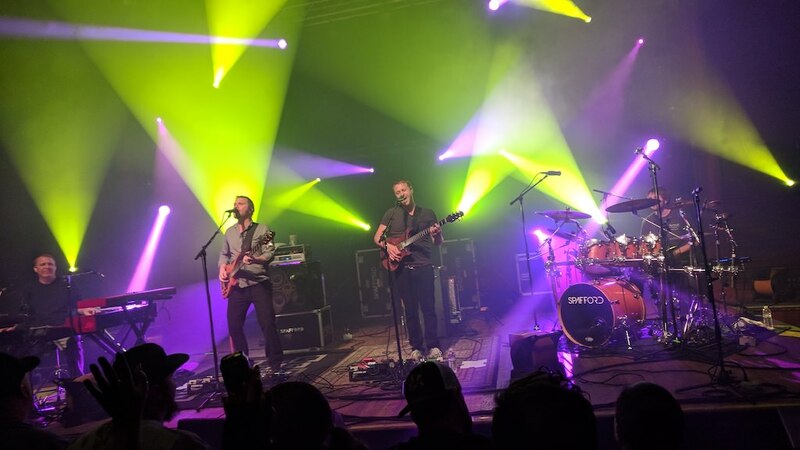 Riding high on the crest comes Brian, Red, and Cam, and we're once again back into the build and release that is Spafford's signature move. From 0 to 60 in a few bars. Finally the closing lick comes spilling from the Raven and the end of Set 1 is upon us. "I found it all, in the heart of America." I'm not sure these words have ever been more true for these guys. I'm sure it was trippy for them to play up in their real, original home after spending so much time out there exploring the highways, rest stops, and bars of America. Set 2 opened with passion and fury. America brought its usual fire and brimstone and Cam's beats propelled the whole monster forward. Red took over with some of his alien sounds and we were all strapped in for a killer second set. America ended with a fakeout. The drum beat sounded like we were about to drop into The Reprise but the band pivoted and dropped a My Road (My Road). I have to say that I wasn't really into this song until seeing it live. Sometimes this happens with new songs and I've been around long enough to know that just because I don't get it right away doesn't mean there isn't something to get. Here too we can hear the different songwriting talents from the guys. Chuck's lyrics are typically introspective, a little bit dark, but hopeful as well. My Road is right in line with that. This My Road gets an awesome synth treatment from Red giving us a chance to hear him take leads for a bit and even get up on his feet. And you know when Red gets up, we get down! My Road is a big vehicle for jams as it opens wide in the middle. This gave each player a chance to show off a bit. From new song to old cover, next up was Send Me On My Way which hadn't been played in 114 shows! This was no doubt a throwback to the old times that the band had up in Northern Arizona. This song brought back memories of long ago. I first saw Rusted Root open for Page & Plant at Brendan Byrne Arena in the late 90's. Oh yeah, and the night before Jerry died my dad called this song "Simmy and the Whale." Anyway, Jordan's lead vocals are really pretty with Red complimenting him with the "On my way." This was a fun, unexpected detour into the lighter side of Spafford and a nice breather after a beautifully heavy My Road. With that said, don't miss the peak of this one as it's far beyond anything I've ever heard Rusted Root do with it. And then BOOM! Electric Taco Stand dropped and the roof came off the place! This ETS is a bit short and sweet, but that's because it's headed for an Alternate Ending sandwich. Suffice to say we don't need to call this "Alternate Middle" just because it returns to ETS afterwards. The look of bliss on the fans' faces during Alternate Endings was just outstanding. Check out these Nerds throwing their heads back and soaking in the magic that is the peak of The Reprise. 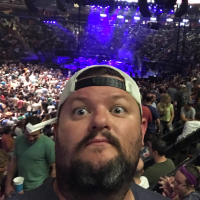 Even the most jaded tour vet who's seen hundreds of Phish AND Spafford shows couldn't deny the magic of the moment! Let Red Sing! As the theme of the night it made sense to kick off the encore with Into The Mystic. This beautiful Van Morrison tune left us all swaying back and forth and holding on to the ones we love. But we knew that couldn't be it. And it wasn't. Steak Sauce was the final tune to close out the tour, a great gag as that was the song that opened the tour as well. Brian later asked me if I thought that the Nerds "got it." I looked blankly at him and said, "um... yeah." After the encore the band posed with their backs to the crowd and took a bunch of photos and some video. 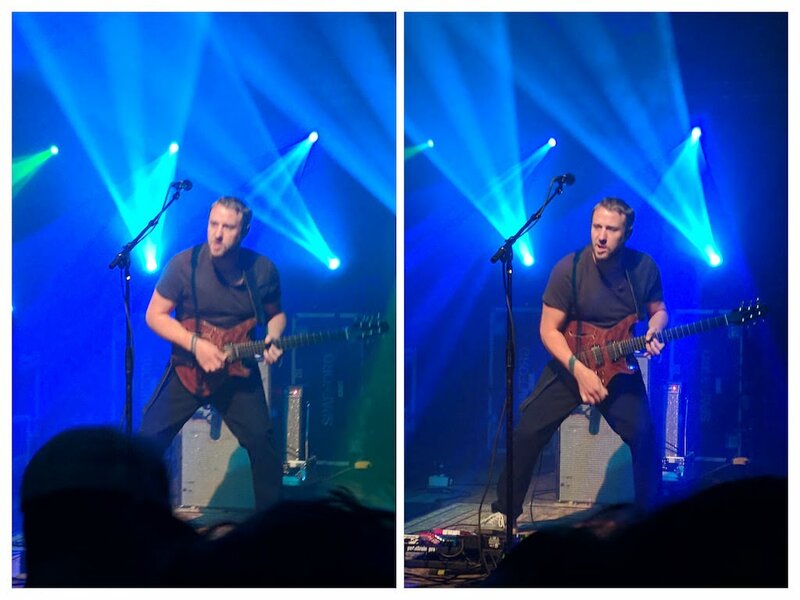 You can see this on the official video that Spafford put out on their facebook page. I have to say that, personally, this tour was a huge adventure. 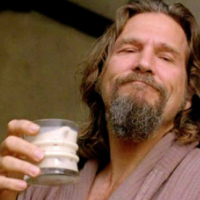 Running this site, engaging with new and old Nerds, and cheering on the band has been an incredible experience. Being at The Orpheum and actually getting to spend time with the crowd and the band was so fulfilling and it left me aching for New Year's which is now but a few short weeks away. Can't wait to see you guys there! Nice summery! I think one of the most beautiful things about these guys is that they appreciate their fans as much as their fans appreciate them. Damian, few have shown their dedication as clearly as you have. Look forward to seeing you New Years! I can't wait to meet you IRL @Geoff. Thank you for the kind words. I think it is so fitting that you wrote the review for the close of Fall Tour. Your excitement and appreciation lift right out of the text to paint a beautiful scene...that so many of us have witnessed throughout these last couple months. I can only imagine though, what a homecoming it must have been for both the band and all of the AZ faithful who have supported them and watched them grow. Thank you for your sharing your experience with all of us Nerds! There was magic in the room man. And I felt like an outsider in the best way. An observer. So many old school Nerds were filled with joy and you could feel the connection that they have with the band. These were the faithful, the torch bearers, those who believed when there wasn't much to believe in. They're the ones that kept the coals hot and gave the rest of us a chance to pour our fuel on the fire. It was a special night and I'm honored to write a review of this show. I think it is so fitting that you wrote the review for the close of Fall Tour. absolutely. great stuff my man. @damian Love the review! I made it just in time from Los Angeles. Glad you were able to get the review spot on! The nerds were out in full force for this one, and it didn't disappoint. Btw if I review anything in the future I want your hook up! LOL, just kidding, but not really. See you end of this month! @603Brett So the nerds that made, or had a hand in the "Let Red Sing" shirts were there for their 65th show. Or so they told me.